Presenting Chiang Mai Volunteer and Intern Group #228! This group of five volunteers and interns arrived a couple of weeks ago, and started their projects on Monday of last week. Five new volunteers and interns from the Netherlands, Austria, Switzerland and the USA. 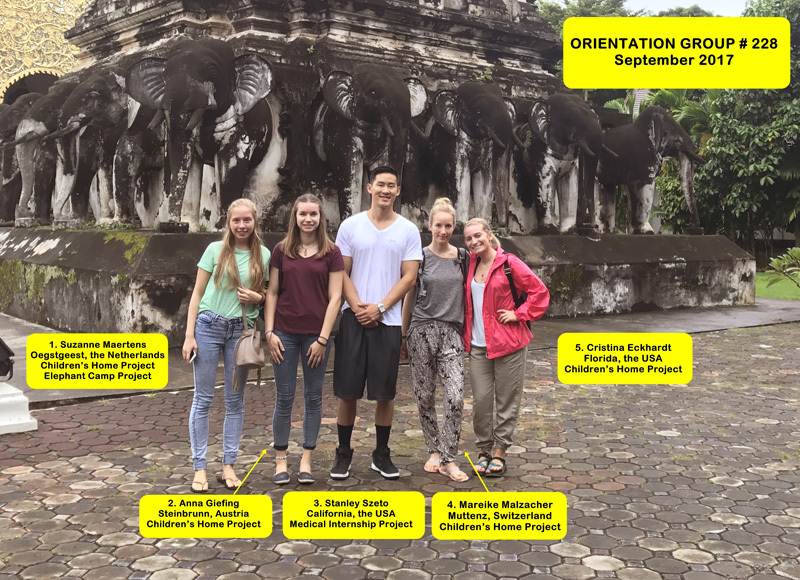 They are participating in our Medical Internship, Children’s Home, and Elephant Camp Volunteer Projects. Please visit our Projects Page for more info on our different volunteer and intern opportunities.